If you’re a fan of Super Mario you might be wondering how you can take your favourite plumber out and about with you when you’re not at your computer. Well, you’re in luck because Super Mario Run is now available in app format for Android or iOS devices here. In case you’re not familiar with the concept, Super Mario Run is essentially an obstacle course that Mario has to run though. 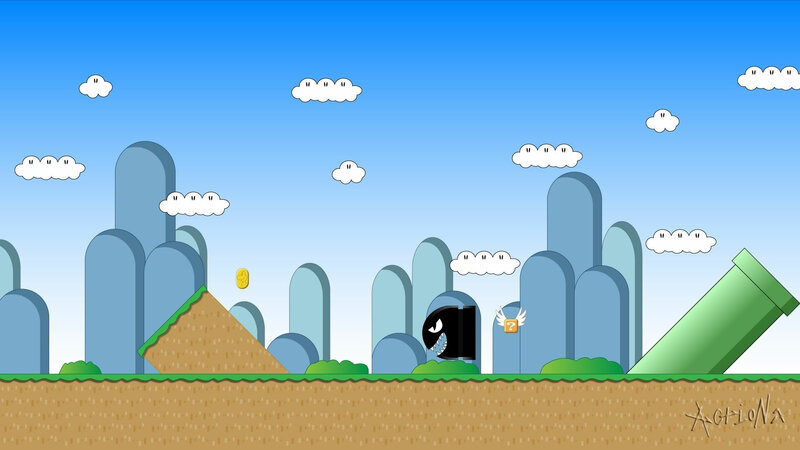 The goal is to make it to the end whilst avoiding enemies, pitfalls, jumps and collecting gold coins along the way. Because it’s an app-based game, you control Mario by holding your finger on the screen and tapping to make him jump. Mario’s default state is running – you just control when he jumps and how fast he goes. It’s simple yet surprisingly addictive and will appeal to Super Mario fans of all ages. The original Super Mario Run app was updated in September 2017 and the updated version now includes a bunch of new courses, the inclusion of Princess Daisy as a character and remixed, updated versions of the existing courses. To get Princess Daisy, you need to get through “Remix 10”, a series of short courses that you need to complete in a row to find Daisy and add her as a playable character. New courses include a ship, an airship and a forest and the customisation options have been expanded when you play the updated version of Super Mario Run. Super Mario Run is one of the most popular gaming apps around and it’s easy to see why. Fun, addictive and easy to play, Super Mario Run is a must try for fans of the original and newcomers alike. Apps are the next generation of gaming and new ones are being released all the time. While you can find a great selection on iTunes and Google Play, not all apps are available on these platforms. If you love mobile gaming apps, you can find more great apps here. For the competitive among you, Toad Rally is an option where you can compete against other players, trying to outdo their runs in a virtual reality style match. When you play Toad Rally you don’t play in real time, instead you race a ghostlike version of Mario and try to beat your opponent’s previous run. The first time you beat all the levels and a castle in a world. Collect all the coloured challenge coins in one go on a World Tour level. Place a ? block in your kingdom to get a bonus, which may or may not be a rally ticket. Check the promotions to see if you can get one as a bonus. Once you’re ready to play, you click on the red rally pipe and then choose your opponent. The objective is to collect more coins and impress more toad fans than the other contestant. This is the third mode available for Super Mario Run. In Kingdom Builder you can create your own kingdom with rewards you’ve gained from playing the other modes. Add new buildings, decorate your kingdom and unlock more special features as you go. If you impress toads in Toad Rally they will come and live in your kingdom, unlocking even more special features. you can find Kingdom Builder review here.